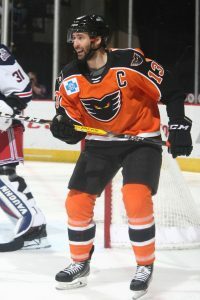 Lehigh Valley, Pa. – The Lehigh Valley Phantoms (26-19-3-2) got their revenge against the Hartford Wolf Pack (20-25-3-3) with a 5-2 victory to close out the 3-game weekend. Colin McDonald and Connor Bunnaman each potted two goals and Corban Knight and Greg Carey each had two. 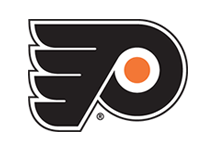 Mike McKenna made 33 saves in net for the Phantoms. 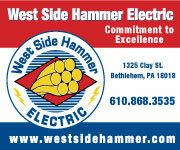 The Phantoms struck first in this one, taking a 1-0 lead just five minutes in. Greg Carey put a shot on goal that sent a rebound floating up into the air. Luckily, Reece Willcox came flying in to bat the puck out of mid-air and down through the five hole of Halverson for his second goal of the season. 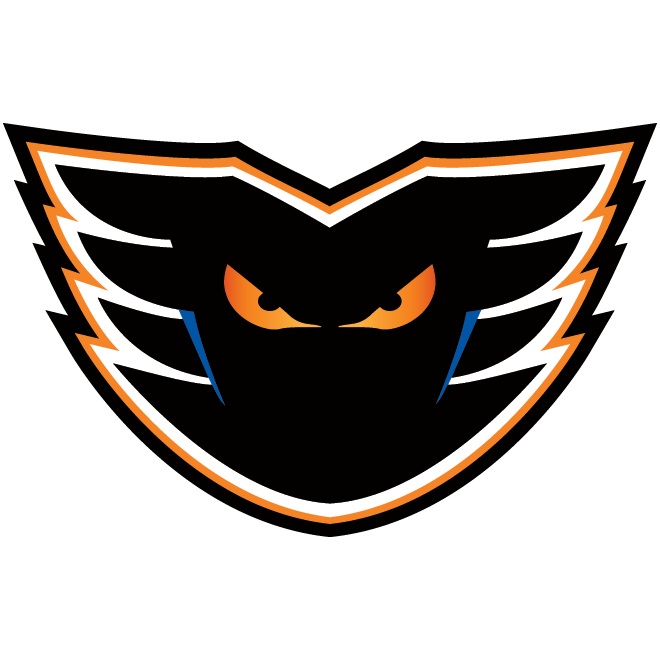 Lehigh Valley went up 2-0 just a minute later as Colin McDonald skated through the zone and ripped a laser into the upper right corner for his fifth of the season. Hartford was able to get one back with a power play chance with 1:34 remaining in the first. 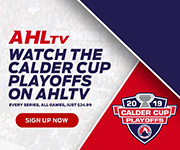 After a shot from the point hit a body in front, the loose puck trickled over to Peter Holland, who was able to pop the rebound into an open net and score for the second straight night to make it a 2-1 game. 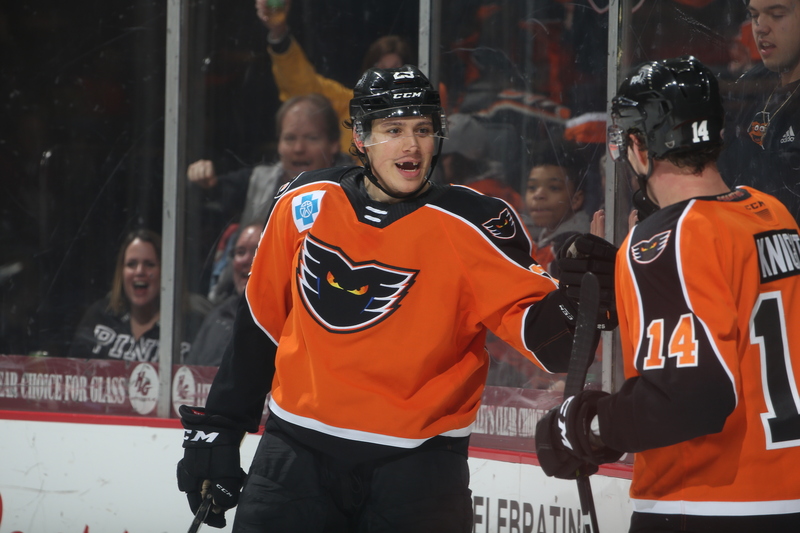 Holland has been the Phantom killer this season, totaling five goals and nine points in just five games against Lehigh Valley. With Bunnaman and Andersson in the box for matching minors two minutes into the middle frame, John Gilmour was able to take advantage of the extra room on the ice as he weaved through the neutral zone and fired a shot up and over McKenna to tie the game at two. The Phantoms quickly regained the lead as Corban Knight won a battle along the boards and put a centering feed right on the tape of Connor Bunnaman to give the Phantoms a 3-2 lead. Bunnaman scored his second goal of the game less than five minutes later, as he once again was able to bury a perfect pass from Corban Knight. This marks the first multi-goal game of Bunnaman’s career and the he now ranks second on the team with 14 goals so far in his rookie campaign. 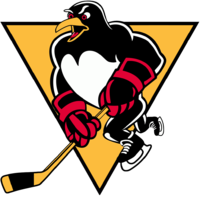 Lehigh Valley kept the offense going, as Colin McDonald took a feed from Mike Vecchione and sniped one short side past Halverson for his second goal of the game to make it 5-2 in the second period. The Connecticut native now has three goals and seven points in five games against Hartford this season. 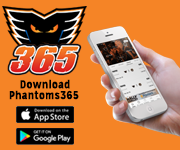 Five was all the needed as Mike McKenna made 17 saves in the third period to hold off the Hartford attack and the Phantoms picked up the 5-2 victory. Lehigh Valley went 2/4 on the power play. NEXT TIME OUT: Lehigh Valley will return to the ice next Friday, February 15 as they host the Bridgeport Sound Tigers for You Can Play! Night. 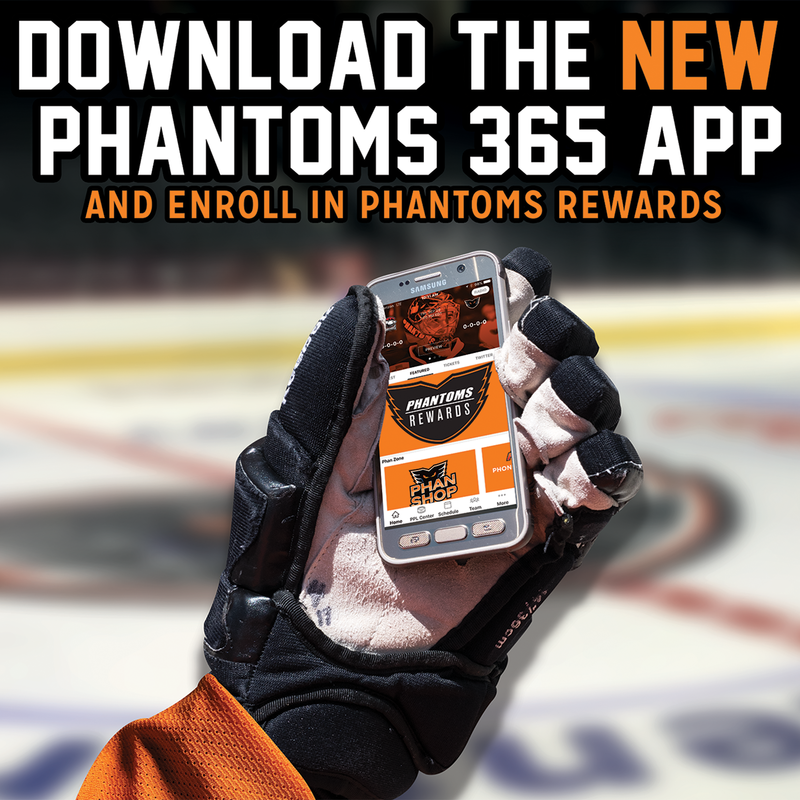 The Phantoms are 2-1-1 against the Sound Tigers this season.